You’re living the good life; show it through your headphones! Headphones have a great mahogany finish that is comfortable to wear. Sound quality is exquisite. The headphones are bit on the expensive side when compared to other similar models. The headphone cable is a bit too heavy and long. These luxury headphones are aimed at providing you with the comfort of using a headphone made out of mahogany. The sound quality provided speaks volumes to defend the huge price tag. Luxury headphones that give the best sound quality. The DENON AH-D5000 luxury headphones are a really expensive buy appearing in the $500 price range. However, it does really provide value for your money as it comes with a beautiful mahogany finish that is surprisingly light. The ear-cups are covered with real leather which makes the DENON AH-D5000 a very comfortable headphone set which you can use for hours on end without feeling any stress. The sensitivity is high which gives you the best possible sound quality. The bass is a bit on the heavy side, though. During tracks which contain a complication of voices this headphone may prove a bit problematic to use, however, for all types of music it is an absolutely pleasure to listen to it on a DENON AH-D5000. These headphones come with a 3.5mm jack plug as the default, however, an adapter screw for the 6.3mm jack is also provided which means you won’t have any trouble connecting to an amplifier or mixer for DJ work. 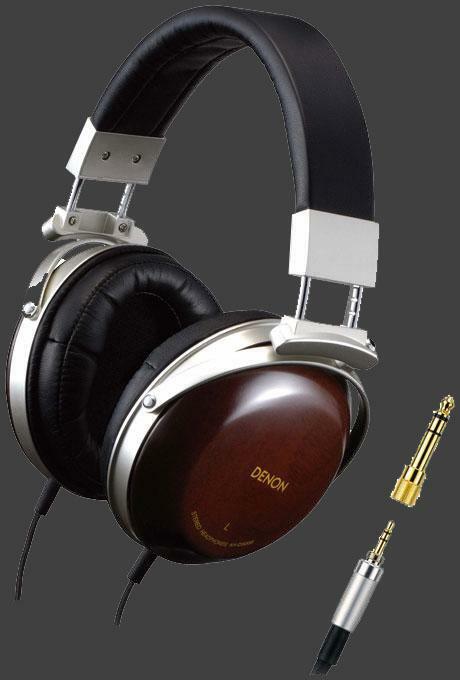 It is a privilege to own a set of headphones such as the DENON AH-D5000. It will become an extension of your head because you’ll never want to put it down. The headphones work properly both with the noise canceling function on and off and perfectly isolate the exterior sound. Also, they come with a small case which is great for carrying them. The product’s price is quite high when considering the price they cost in comparison with other similar headphones in terms of sound quality and comfort levels. Also, the headphones warm up quickly after three hours of usage. Because the sound is clear and the noise canceling function seems to work perfectly, DENON AH-NC732 is recommendable to those listening to music in noisy environments. However, this pair of headphones is surely not one of the most comfortable one can buy, being quite difficult to be adjusted properly. Listen to your favorite music with efficient noise canceling feature. The noise cancellation function of these headphones ensure up to 95% noise isolation. This is why many people use them during airplane travels or in other such situations, without even listening to music also. The feature works for 40 hours and the headphones work just fine when it is off. The model is compatible with iPods and when it comes to the sound, the best setting to choose for a great sound is Classical EQ. The bass is slightly weak, but the overall audio quality is acceptable. 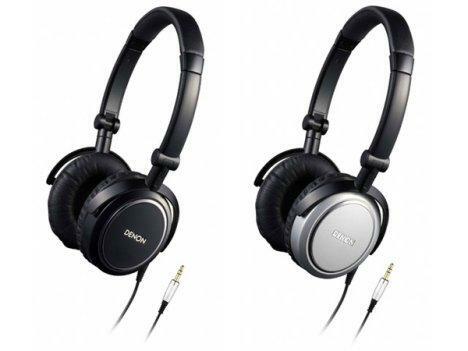 DENON AH-NC732 headphones are well built and include two black cords, and the jack is suitable for iPhone. Also, they come with a protection case and have a light weight so they’re great for travelers. While the headphones are not especially comfortable for everyone, they make a great choice for people wearing eyeglasses, due to their small ear cups. The headphones are easy to use and include some other useful accessories besides the protection case. As the signal cable is detachable, one can use them when not listening to music and the adapter plug for airline is very helpful. Good tone and good representation of all tone ranges. Ear cups are very comfortable. Shows a bit of a dip in the mid ranges of tone. The headphones are slightly bulky. 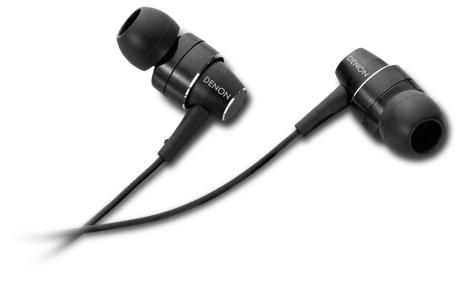 Denon has come out with this headphone set to provide a good quality listening experience with the added comfort of wearing headphones with well-padded ear cups. With these headphones you can get a really well-defined sound. Sound quality that really defines what you are listening to. Great imaging is one of the best features of the DENON AH-D2000 headphone set which uses micro fiber technology to give you the best possible audio quality as you listen to your music. The padded ear cups which cover your ears completely provide comfort while canceling out a large amount of external noise, even without any noise-canceling technology being installed on them. The sound quality provided by the micro fiber is heavily emphasized upon by the manufacturer as it really takes a lead among the competition when it comes to providing a good quality listening experience. The bass is delivered with power, and the high trebles are not lost. The mid ranges are a bit less powerful than the two extreme ranges though. However, you will get a clearly defined sound with each instrument being clearly and separately audible through the headphones. 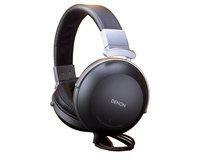 The DENON AH-D2000 will amaze you by the openness of the sound provided although it is a closed headphone set. The wire provided for the DENON AH-D2000 is quite long and you will never have a problem with mobility as long as you use it. At the end of the wire you will find a 3.5mm plug, and a 6.3mm screw-on adapter is provided along with the headphones. Some users have complained that the leather cover of the ear cups can cause sweaty listening sessions at times, but generally the response to the comfortable ear cups has been extremely good, as well as the general response towards the headphones. The DENON AH-D2000 is great to use at home. It can be put to great use as a set of DJ headphones as well thanks to superior audio quality.